The Arkansas Department of Education is offering its professional development workshop series, "Taking It to the Schools: Community Experiences in Fine Arts," for its third summer. The department is partnered with the Arkansas Arts Council and Arkansans for the Arts to bring one-day trainings to teachers in assorted arts-related fields. They hope to encourage collaborations between school art programs and community arts organizations. There will be four different workshops within the series offered, and each will be presented eight times. Each of the four are aimed at a specific discipline within the arts - one for visual art, one for theater and dance, and two for music. Each will be presented by one classroom teacher and one teaching artist. These workshops focus on teaching art, but are offered to teachers as well as people involved in community art. 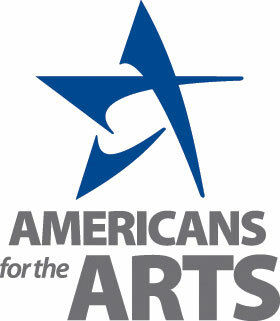 The series came together from a grant from Americans for the Arts' State Policy Pilot Project (SP3) which gave the opportunity to ten states to promote art education, Arkansas being one of them. Lana Hallmark, the fine arts program advisor for the Arkansas Department of Education was responsible for putting the workshops together. "Part of the goal of the workshop series is to show teachers what the Arkansas Fine Arts Academic Standards look like in the classroom," Hallmark said. Hallmark's position in the Arkansas Department of Education makes her also an advisor for ARftA. "I feel that a strong education in the arts gives students life skills such as creativity, confidence, and problem-solving that make them successful in life," Hallmark said. "An education in the arts makes students better human beings by developing empathy for other people and cultures and giving them a lifelong appreciation for beauty and design." Teachers, teaching artists, and community arts participants are invited to attend one-day trainings which focus on the potential collaborations between school arts programs and community arts organizations. Participants will take away a series of instructional modules developed by the team of trainers. These modules will provide arts educators with rich resources that are specific to the artistic discipline they teach and aligned to the Arkansas Fine Arts Academic Standards. Presenters: Joy Schultz (Episcopal Collegiate) and teaching artist Jeri Hillis (AAC Arts in Education) will combine a look at collage artists and making collage art with a discussion of choice-based art. Presenters: Patty Oeste (Conway Public Schools) and teaching artist Sheldon Harden (AAC Arts in Education) will create and utilize an 'escape room' as a formative or summative assessment related to the study of the elements of music. Presenters: Wyatt Hamilton (Bauxite Public Schools) and teaching artist Stephanie Thibeault (AAC Arts in Education and UALR) will lead participants in examining the difference between character and caricature, experimenting with related movement and dance, and tying the study of character into important discussions about diversity. Sponsored by the Arkansas Music Educators Association, guest presenter Brian Hiller will lead a live workshop at Mosaic Templars Cultural Center in Little Rock on July 24, 2018. Mr. Hiller is Associate Professor of Music at Hofstra University, Music Specialist in Westchester County, New York, and Orff Level I and II Pedagogy Instructor. Mr. Hiller will present a six-hour, hands-on workshop with participants singing, moving, and playing a variety of pitched and non-pitched percussion instruments. The workshop will include several full processed lessons which will include warm-ups, lessons, performances, and extension activities and dynamic choral pieces for use with upper-grade choirs. Information and registration for the live event can be found on the Arkansas Music Educators Association website. The workshop will be livestreamed to all education service co-operatives and one location in Little Rock. Registration for the livestreamed sessions is available at the standard sources referenced above.